When you optimize a site, it’s important to understand the reasoning behind the changes you’re making. After all, Google is a leader in their industry. When they make a significant update to the Google search algorithm or change the way they display information in results pages, it’s only a matter of time before other search engines follow suit. This means that although other search engines may not always be quite as advanced as Google, they operate with the same principles in mind. So when you optimize your site for Google search, you can be confident that your efforts will have a similar impact on your results in other search engines. Plus, when you make it a priority to rank well with the industry leader, you won’t have to worry about falling behind. So with that in mind, let’s take a look at how Google Search engine works, and how you can optimize your site to perform better in their rankings. Before we jump into how Google selects and organizes results, it’s important to understand how they access store information about online content. First, automated bots called “crawlers” view pages. These are also sometimes referred to as “spiders,” and their purpose is to find information online. The next step in this process is indexing. When a user performs a search, Google doesn’t instantly crawl the web looking for the most relevant results. Instead, they search their existing database of online content — known as their index. As you can imagine, this is a much faster process than scanning the billions of pages that currently exist on the Internet, and it’s why Google is able to deliver results so quickly. And when spiders crawl the web, their purpose is to add new content to this index, so that when a user searches for information, the index has the most up-to-date pages as possible. From an SEO standpoint, the most important thing to know about indexing is that if your site isn’t in Google’s index, it can’t appear in search results. Google’s spider, known as Googlebot, finds new content based on an algorithmic process. The process begins with a list of page URLs generated from previous crawls. Then, as its spider visits these pages, it detects links and adds them to a list of pages to crawl. From there, it will crawl those pages, too, and look for both new sites and changes to sites it’s crawled in the past. Then, all of these changes are added to Google’s index. When a user performs a search, Google scans their index for relevant pages and delivers the ones that its algorithm determines to be best for their query. While Google is highly secretive about how, exactly, their algorithm works, it considers over 200 factors when determining which pages are the most relevant for a search. This algorithm is constantly being updated to provide users with the best possible results. Although Google is protective of many of the factors behind its ranking algorithm, they’ve revealed an important one called PageRank. 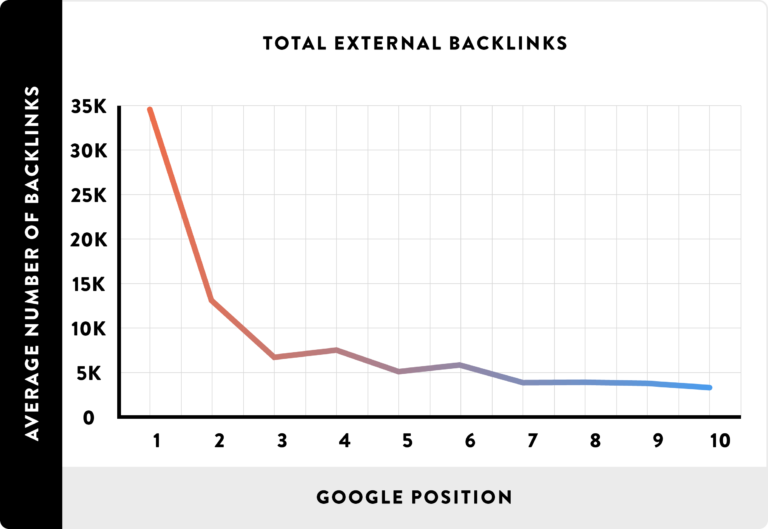 That’s why backlinks play such an important role. They’re one of the only factors that Google has confirmed, and they’re how the algorithm determines the value of websites and pages. It’s also important to note that not all links are equal when it comes to improving PageRank. Links from reputable, authoritative sites have a much more significant, positive impact, while spam links can have a negative impact on your ability to rank well in search results. By the early 2000s, when Google started to establish itself as an industry leader, SEOs started paying close attention to what founders Sergey Brin and Larry Page said about how their search engine operated. The search engine started to become an essential part of the online browsing process for many consumers, so companies knew that it was in their best interest to rank well in its results. At this point, however, achieving that goal often involved looking for ways to exploit Google’s algorithm. That started to change in 2003, with the search engine’s first major “Florida” update. This update was intended to penalize sites using SEO tactics that provided a poor experience to users. This was the first time sites saw negative consequences for “spammy” practices like keyword stuffing — and many of the SEOs who’d been using those tactics were extremely unhappy. But in retrospect, it was only the first of many algorithm updates aimed at penalizing site owners attempting to improve their rankings in ways that were unhelpful to users. It signaled a shift towards an emphasis on providing a great user experience — a priority that Google continues to work towards. How Does Google Search Work in 2018? Since the very beginning, Google has focused on directing its users to high quality, relevant results. And its algorithm updates reflect that focus. So while it can be difficult to predict exactly which changes are on the horizon for the SEO industry, it’s safe to assume that they’ll have the same basic goal of providing users with the best possible results. Of course, that doesn’t mean you don’t need to pay attention when the search engine announces a new update. While some of these updates may be aimed at penalizing SEOs using unscrupulous tactics, others will give you insight into the practices you should be using on your site. For example, Google’s more recent updates have focused on adapting to search trends, prioritizing user security, and making it easier for users to access information directly on results pages. Much like its main search engine, Google’s image search feature operates with a complex algorithm designed to deliver the most relevant images to searchers. But because spiders can’t see and understand visual content the same way that human users can, they rely on filenames, alt text, and context to index them appropriately. So if you want your site’s images to appear in Google’s image search results, you’ll need to optimize these elements. First, give your images logical, informative file names. While many photos have default file names like “IMG001.jpg,” this doesn’t tell crawlers anything about them — so take the time to give your visual content file names that accurately describe what they depict. Next, write helpful alt text for each of the images on your site. Whenever you upload a visual file, you can use the “alt” tag to write a description of it. This description not only helps search engine crawlers understand your images, but it’s also how users with visual impairments gain information about them. Finally, if you want an image to rank well in image search, make sure to include plenty of context around it. This could include a caption, an explanation of what’s being depicted, or anything else that provides crawlers with more information about the image’s subject matter. As we mentioned above, Google is constantly updating its algorithm to provide a better user experience. So with that in mind, here are a few tips to help you rank well in 2018. In order to stay ahead of your competitors, you’ll need to make it a priority to keep up with Google’s changes as to how they rank pages and deliver search results. For example, one recent update Google made doesn’t relate to how the search engines rank pages, but how they display information in the results pages. In the past, a results page included a simple list of ten links to relevant content. But as Google attempts to improve the user experience they provide, they’ve incorporated certain information directly into results pages. This way, searchers can access the content they’re looking for without even necessarily visiting a site. It makes the search process faster than ever, and in some cases, eliminates a click altogehter. 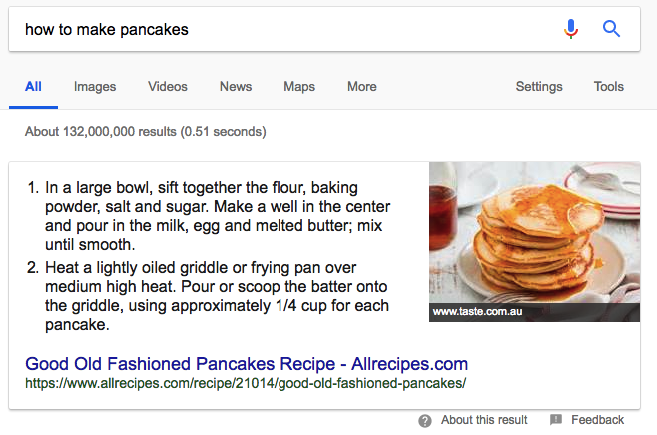 Google pulls a photo and two steps from a recipe post directly into the results page. If a searcher simply wanted to verify the order of ingredients, or how much batter to use for a pancake, their question is answered. This is an example of a Featured Snippet. The search engine first introduced these enhanced results in 2015. Today, they appear for just over 15% of search queries. Of course, the downside to this for SEOs is that if a user is able to find the information they need on a search results page, they might not click on any of the results at all. And to a certain extent, that’s true. 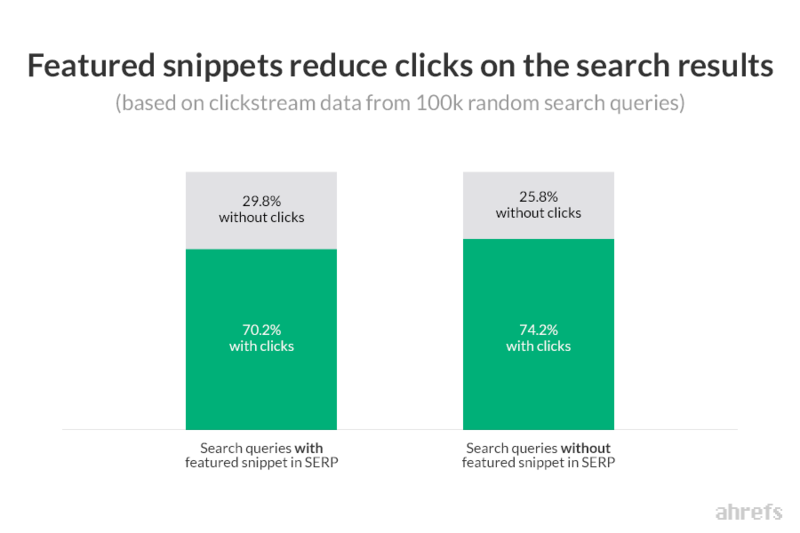 In one study, Ahrefs found that the percentage of queries that didn’t lead to a click increased from 25.8% to 29.8% when a featured snippet was included in the results. But if you’re able to achieve a Featured Snippet, you’ll take up even more space on the results page. So if a user does decide that they want to learn more than the snippet offers, your result will be the most noticeable. And even if they don’t click, Google has achieved its goal of improving the search process for that user. When it comes down to it, that’s the goal behind all of Google’s updates. Though the exact changes they entail are very different, Google’s emphasis on user experience is clear in each. So as you look for ways to optimize your site in 2018, look for opportunities like this that you can use to your advantage. The earliest search engines delivered results based almost entirely on which pages included the exact words a user entered as their search query. And while algorithms have gotten much more advanced since then, keywords and search queries are still an important part of SEO. So as you optimize your site, use keyword tools to regularly check in on how your target audience searches for information. You can do this by using a tool like the Keywords Everywhere extension. 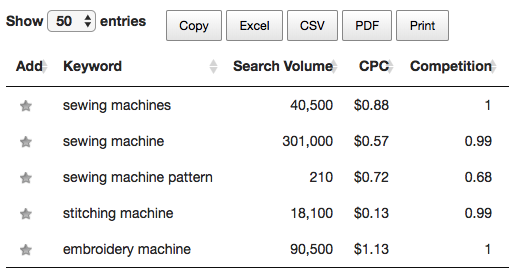 Enter a list of keywords, and you’ll see the monthly search volume and competition level for each. This will help you keep an eye on the exact queries your target audience is searching, so that you can be confident you’re optimizing your site and creating new content that’s in line with their needs and interests. Security is becoming an increasingly important concern for many Internet users. As a result, it’s becoming an increasingly important concern for Google. Users want to be sure that their online activity is kept private, and that they aren’t at risk of having personal information compromised. 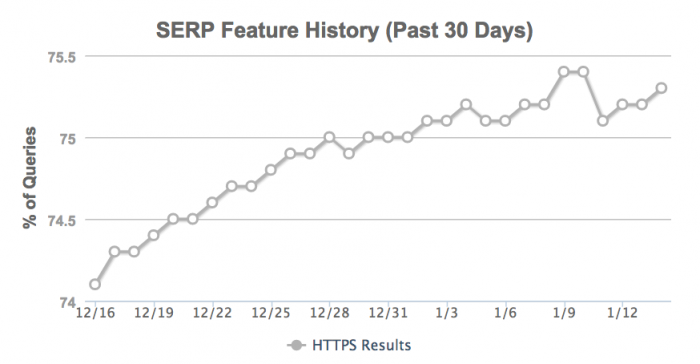 Google reflected this concern by making HTTPS a ranking factor. If you’re unfamiliar with the term, it’s used to describe sites that encrypt user data, so that each of their visitors’ information is kept secure. 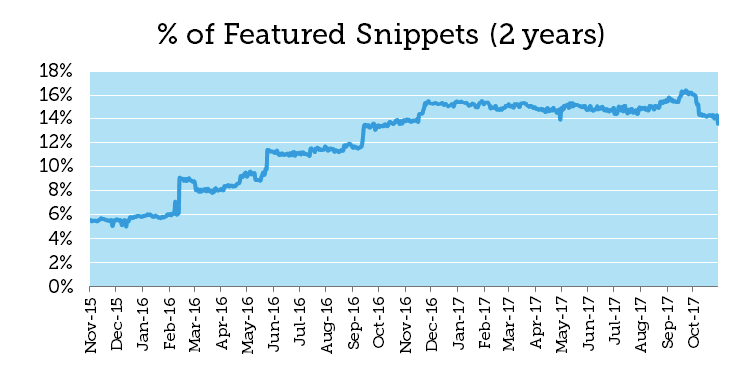 And while when Google first announced this update as a “lightweight signal” in 2014, pages from HTTPS domains have gradually seen higher exposure in results pages. Today, 65% of domains ranking for high-volume keywords are HTTPS. So if your site isn’t yet secure, this is a high-impact change you’ll want to make sooner rather than later. 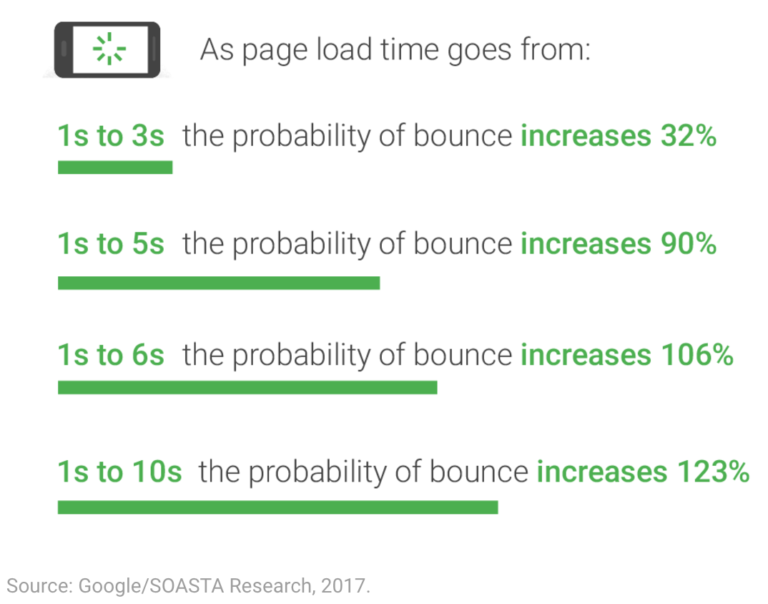 According to Google’s page speed benchmarks report, the probability of a bounce increases by 32% when a page’s load time jumps from one to three seconds. So if your site takes more than a second or two to load, you could be losing traffic — and potential customers. You can use Google’s Test My Site tool to see where you stand, then use their suggestions to improve your site if necessary. As you optimize your site, you’ll need to pay attention to both on-page and off-page factors. 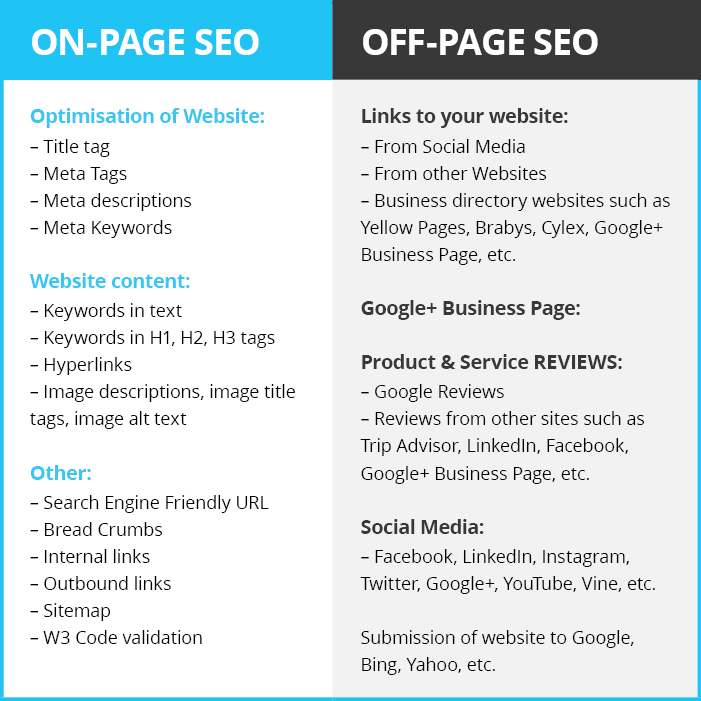 You can learn more about what these factors are and how to optimize them for search by reading our guides to on-page SEO and off-page SEO. As we mentioned above, one of the most important factors in Google’s ranking algorithm is your site’s backlink profile. It makes sense, then, that sites with the highest number of links tend to rank highest in Google’s search results. That being said, it’s important to remember that when it comes to links, quality is much more important than quality. Make earning links from authoritative, reputable sites a priority in your SEO strategy, and you’ll be much more effective in achieving the rankings you want. Although “how does Google search work?” may seem like a fairly straightforward question, the truth is that the answer changes all the time. That’s because Google is constantly updating and improving its algorithm to deliver the best possible results to users. While the main principles of crawling and indexing have remained largely the same since the start, the way in which rankings are established has changed countless times over the past few years. So if you want to achieve high rankings for your target keywords, you’ll need to stay on top of those updates. It’s also important to always optimize your site with your audience in mind, since many of the more recent updates have put an even larger emphasis on user experience. So instead of focusing solely on keywords, you’ll need to understand your audience’s needs, improve your site’s security, and increase your site speed. And while these goals requires a little extra work and effort, the results of getting ahead of your competitors are well worth it. How do you stay up-to-date on Google’s algorithm updates?